What centre are you involved with? IMMERSION freedive academy and shop. I’m also the organizer of the RedCcup in Dahab, Egypt. How long has the centre operated for? Since beginning of 2002, originally based in the Netherlands but from 2012, permanently in Dahab. 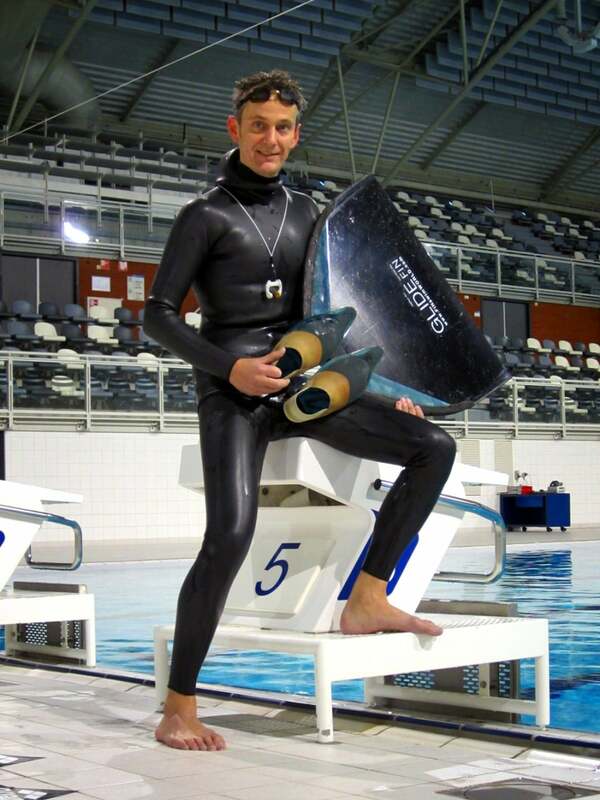 I have been freediving since 1998. I am an AIDA International Instructor Trainer, AIDA International Judge Instructor, Apnea International Instructor Trainer, NFDB Instructor Trainer, PADI Master Freediver Instructor, PADI Divemaster, PADI EFR Instructor, 9-times National Record holder for the Netherlands and since 2016, Founder and Board Member of AIDA Egypt. Freediving, of course, although I still scuba dive on my days off. If you could tell people one thing about the centre (or maybe more) to make them want to visit you what would it be? First of all, CUSTOMER CARE and I’ve written in capitals with a reason as there I make the biggest difference with other freedive centres. 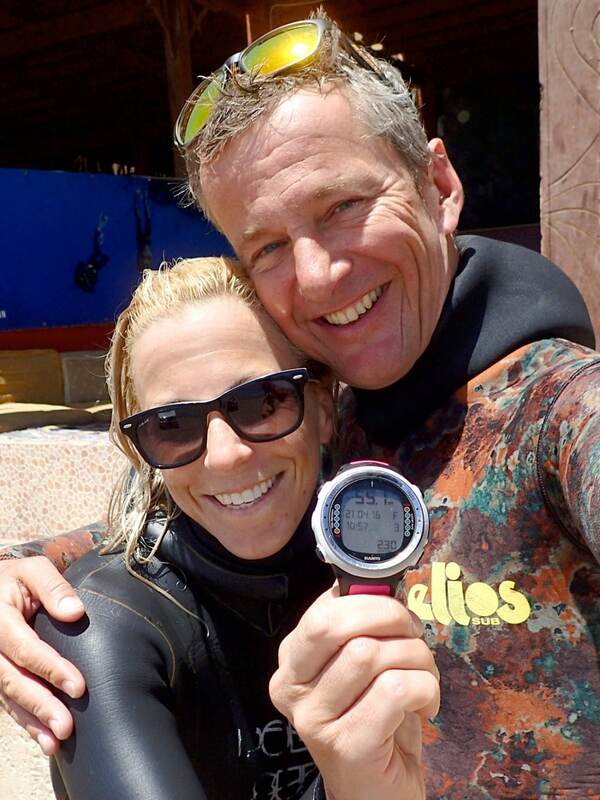 Furthermore, my experience as a freedive instructor and coach goes back to the year 2000 and I have a long history in all aspects of freediving from beginners to World Record holders. My freelance instructors are selected with the utmost care, as quality is the most important thing at Immersion academy! Where do you currently promote your centre? Website, Facebook, YouTube, Instagram, Twitter, etc. but soon we start promotion differently and will come out with merchandising and other related products. What is your favourite dive and why? The Blue Hole: because we have close to perfect conditions / depth all year around and with just a 2 minute swim to get 92-95m of depth which is important for safety. In Dahab any types of diving are possible all year around from freediving (0-350m), scuba diving, tech diving, to snorkeling. Are you involved with any other centre / locations? I ‘freelance’ for several scuba centres if they have freedive customers here in Dahab and Sharm el Sheikh. I can travel around the world on invitation, but mainly I work from my own centre. As an instructor and coach the most rewarding thing is seeing people change during a course or a coaching program. 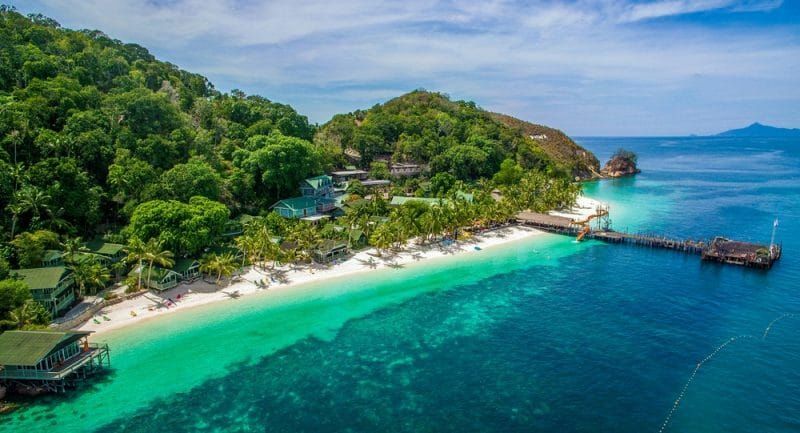 Of course the biggest changes you will see are in beginner courses like AIDA2, Instructor course, Judge courses and in personal coaching programs. How would you like help promoting your centre? More media attention in written media, promo’s, dive exhibitions, etc. Since I started diving and freediving, I have loved Manatees and sadly so far I have not been lucky enough to go to Crystal River in Florida to snorkel with them. Yes, the main thing is that we will open a brand new high-end freedive, sports and health centre soon in the Lighthouse area of Dahab. There’s a lot of future plans with more information to be released soon. As a centre what is the biggest problem you face at the moment? The main problem for all of us here in South Sinai is the lack of charter (direct) flights from Sharm to Europe etc. For many, scheduled flights by major airlines are too expensive. Also the bad media attention we get doesn’t help and Dahab is most likely more safe than Europe at the moment. Once people are here the cost of living is extremely low and you can rent a luxury apartment for only 90GBP, whilst a dinner in Dahab’s most famous restaurant will set you back with just 7GBP. The only risk Dahab truly possesses is the fact that you most likely will never want to leave again after being here for a few weeks! Is your centre involved in any environmental projects? At the moment, not any more as the environmental project we were working on stopped last year. We all setting up new ones that will be revealed in the near future. The scuba and freedive industry and the rest of the foreign locals stick together to improve the overall environmental awareness of our customers and Egyptian locals. For example, last year there was a huge project involving three local schools and that was very successful; this year it will be repeated. The main problem in any of these industries is that people with limited capabilities as instructor / coach but with amazing marketing skills get a big chunk of the business without delivering quality. They often work under often unsafe conditions and we see this here on an almost daily basis! 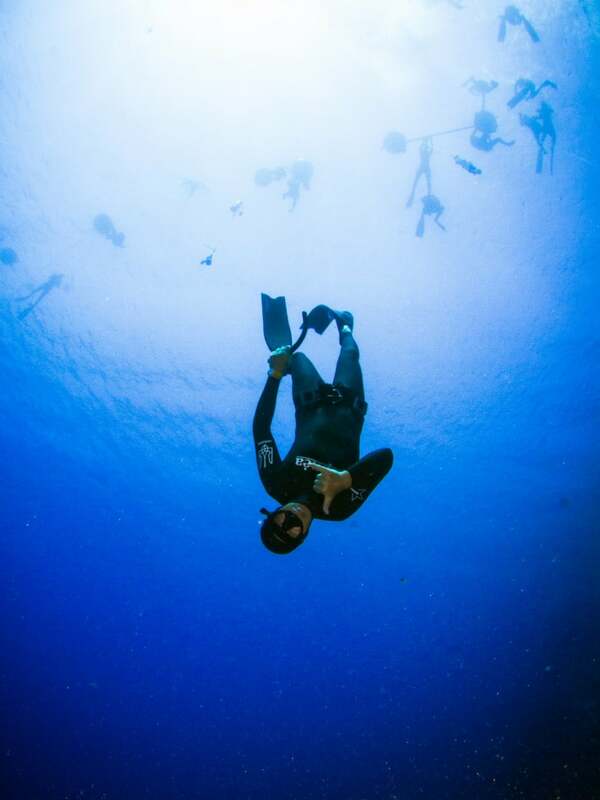 Furthermore, the trend in Freediving starts to follow the Scuba industry and prices drop and as a result, the quality, safety and customer satisfaction also drops. We hope to get more support from the organizations we represent but some are mainly focused on expansion rather then creating quality and respecting safety standards. As an AIDA Egypt Board Member I, together with some other foreign Instructors that are involved, work hard to protect the levels of quality in our industry. Previous Previous post: How long should my no fly time last after my dive?